I’m not even sure where to begin with these two. When I met Katelyn & Drew for their engagement session, I knew they were incredible authentic, kind, genuine souls. But it wasn’t until their wedding day that I was completely floored at their dedication to one another, the beauty of the love of their friends and family, and the joy that everyone shared as they started their life in union. I was amazed at how much was done by friends and family. Her family friend, Krishna, did the amazing florals and table decor, including Kateyln’s beautiful flower crown, and Katelyn did her own makeup and hair. 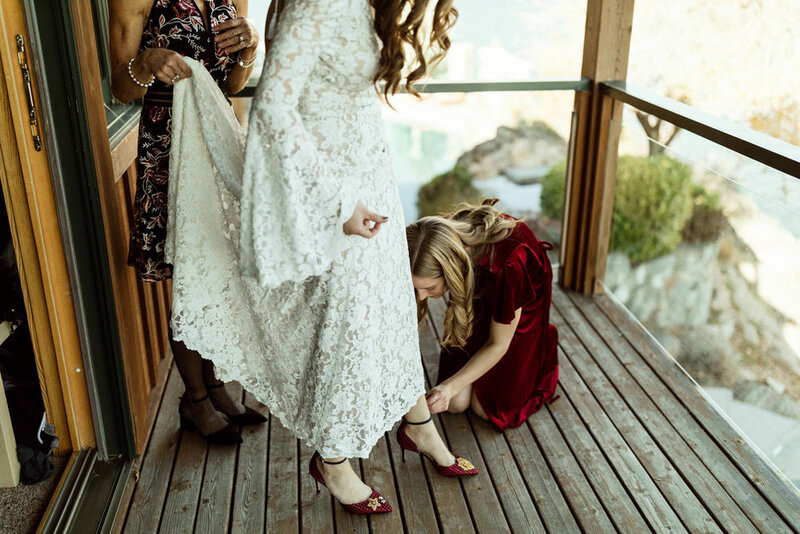 Katelyn styled the whole thing, with BHLDN velvet dresses for the bridesmaids and a gorgeous backless lace dress and killer Sam Edelman shoes that created a romantic and luxe bohemian gathering that I was so dang lucky to be a part of. I cried during the ceremony as the small A-frame chapel filled with powerful song. Everyone was swept up in the music, and it felt profound to bear witness. 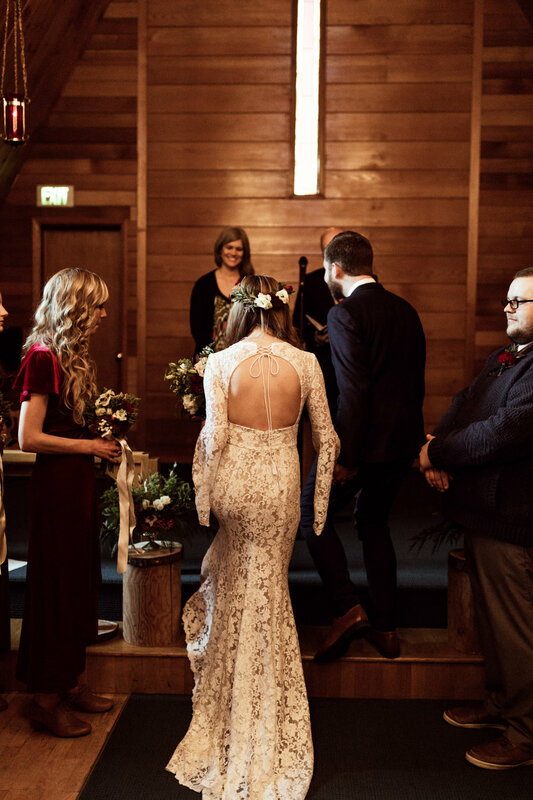 As I walked the aisle from back to front, the music got even louder and I swear I could feel it in my bones. It completely embodied the feeling of the day. Katelyn & Drew, thank you, thank you, thank you for letting me capture this for you.